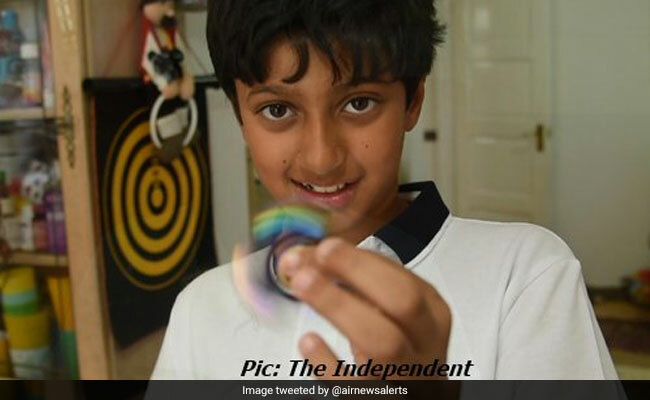 Arnav Sharma, from Reading town in southern England, passed the infamously difficult test a few weeks ago with zero preparation and had never seen what a typical paper looked like before taking it. "The Mensa test is quite hard and not many people pass it so do not expect to pass," Arnav said. "I took the exam at the Salvation centre and it took about two and a half hours," he recalled, adding there were about seven or eight people there. A couple of them were children but the rest were adults. Arnav insisted he was not anxious before sitting for the test, saying "I had no preparation at all for the exam but I was not nervous. My family were surprised but they were also very happy when I told them about the result." Meesha Dhamija Sharma, his mother, said she kept her "fingers crossed" for the whole exam. "I was thinking what is going to happen because you never know and he had never seen what a paper looks like," she explained. It was not until he was two-and-a-half years old that she became aware of his mathematical prowess. "He was counting up to more than 100. That was when I stopped teaching him because I came to know that there is no end to his numbers," she said. When asked about whether there was anyone else in the family with an unusually high IQ, she could not recall anyone, adding: "His dad is quite clever as well, but not as clever." Arnav, who attends Crossfields School on the outskirts of Reading, has been selected for Eton College and Westminster, both highly competitive and sought-after schools. But it is worth noting his talents are not restricted to numbers. Arnav used to have a passion for singing and dancing and reached the semi-finals for 'Reading's Got Talent' for dancing with a bollywood act when he was eight.